Vicki Tidwell Palmer is the author of Moving Beyond Betrayal: The 5-Step Boundary Solution for Betrayed Partners, host of the Beyond Bitchy Podcast, blogger, workshop presenter, and psychotherapist in private practice. She recently started an online community for betrayed partners. She was using comment threads on a third-party platform and was wanting to create her own space on the web that allowed for more of Facebook-like discussions, without relying on a platform. 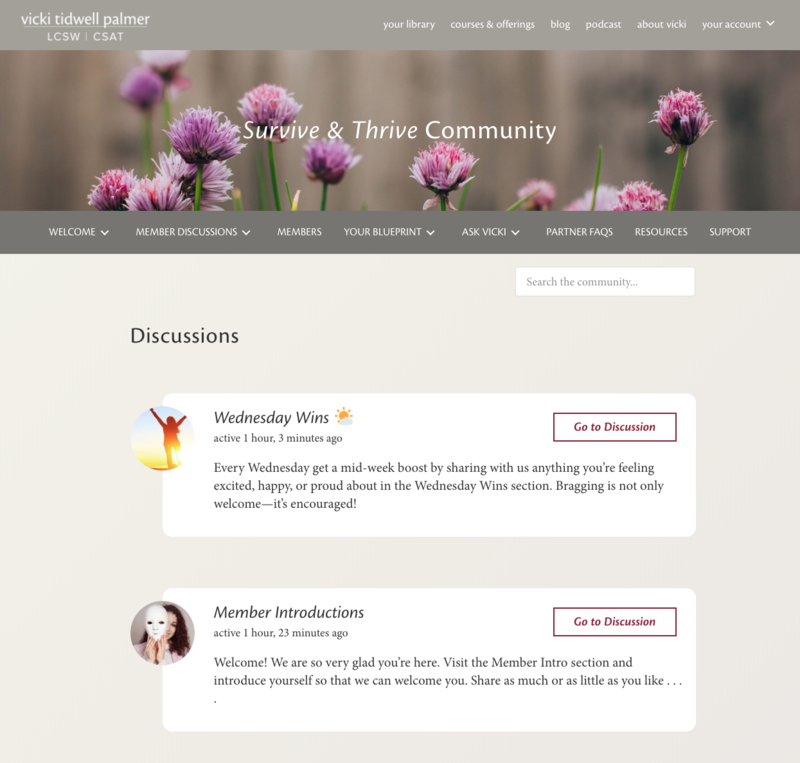 We collaborated on a custom BuddyPress build (like the Facebook of WordPress) where her members can anonymously connect and support each other. 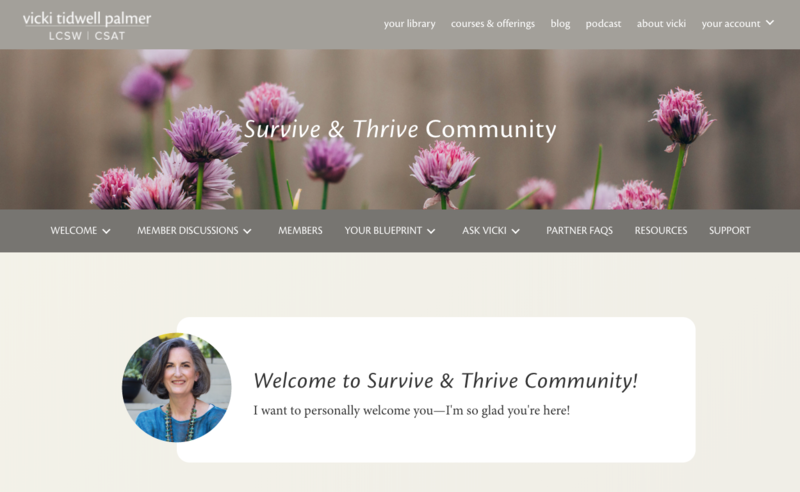 Project included: Sales page design & development, MemberPress set up for ongoing monthly membership and to sell online courses, and a customized BuddyPress set up.